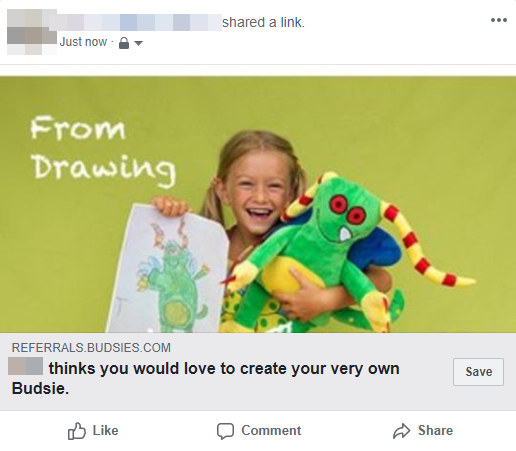 Budsies turns artwork into life! 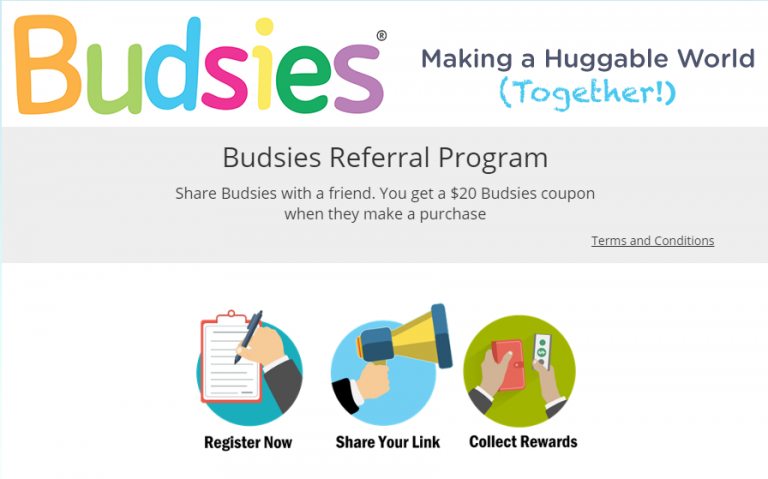 Whether it’s a picture, person, or pets, Budsies aims to make the world more huggable by offering custom-sewn stuffed animals created from any drawing or photo. While offering a myriad of prepopulated and customizable sharing options, the participant is not readily aware of the referral’s 10% off reward until they read the text included in the sharing options. Also, we would love to see more images included in their communications to keep the fun-loving nature of Budsies’ branding consistent. 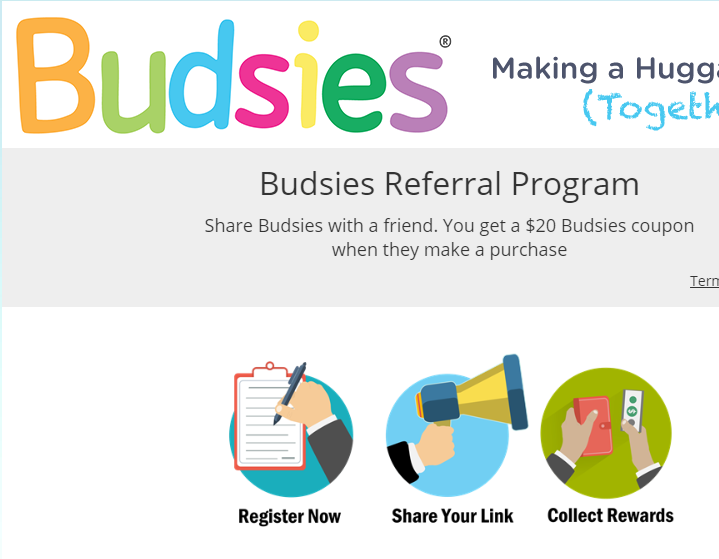 Budsies’ referral program rewards their participants with a $20 coupon when a referral completes a purchase. 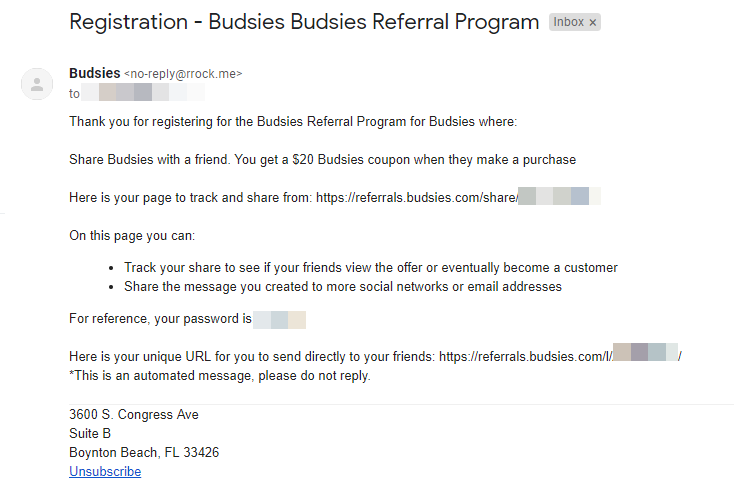 The referral immediately receives 10% off their order.